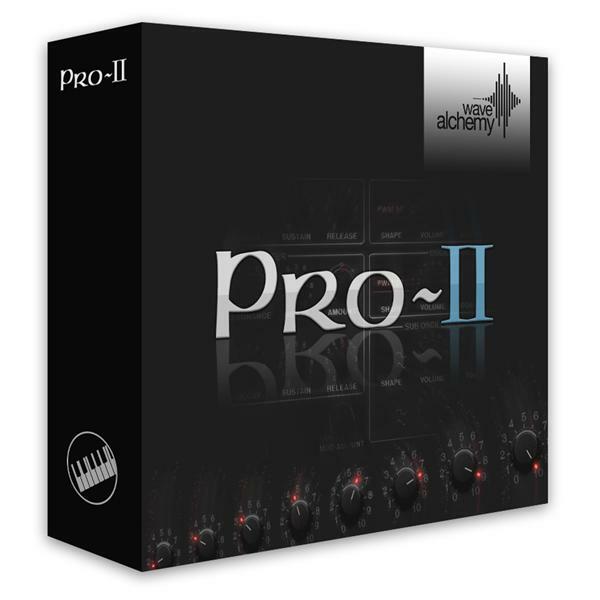 A limitless source of screaming bass lines, lush synth tones and powerful analogue sequences, Pro II by Wave Alchemy is powered by over 6500 carefully recorded multi-sampled sounds, driven by a custom scripted Kontakt 4 engine and intuitive graphical interface. Inspired by one of the most popular synths of its time, Pro II combines classic sounds with modern sound shaping tools to achieve a versatile and fully programmable analogue hybrid synthesizer! Pro II for Kontakt 4 ships with a 3.9GB core sound library and includes 195 expertly programmed presets, all of which are editable via our extensively scripted instrument panel and stunning GUI controls. A full version of Native Instruments Kontakt 4 or 5 is required to use our Pro II instrument. A slimmed down version including 3.2GB of multi-sampled presets is available and optimized for users of Ableton Live, Reason and various other software. The preset page is able to load 138 extensively multi-sampled patches designed and recorded from a vintage Sequential Circuits Pro One synthesizer. Sounds from this page can be further edited and mixed with the Pro II's 'raw oscillators' (see below) to create interesting 'hybrid' patches. 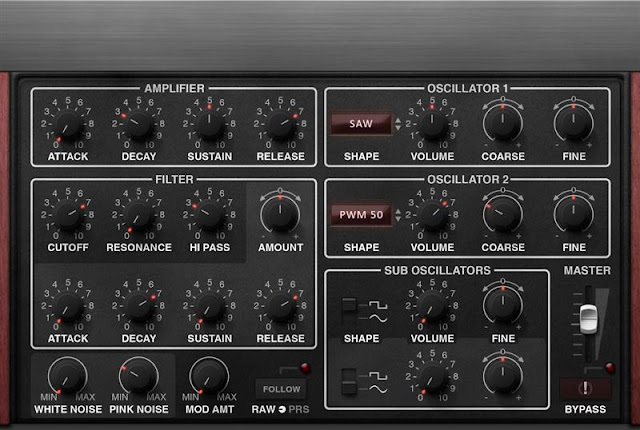 Synthesize your own sounds using the Pro II's oscillators… Raw mode boasts 2 analogue oscillators, 2 sub oscillators and 2 noise sources, all of which are individually powered by an extensive set of carefully looped waveforms recorded from a Pro One analogue synthesizer. A comprehensive, tempo sync-able analogue style step sequencer. Each step boasts independent settings for both filter cut-off and resonance which when combined with the instruments "shuffle" (randomize) function can produce everything from subtle S+H type effects to completely insane sequences. The effects page boasts a number of fully editable effects as well as specially created reverb IR's (Impulse Responses) recorded from our Eventide DSP-7000 Harmonizer.